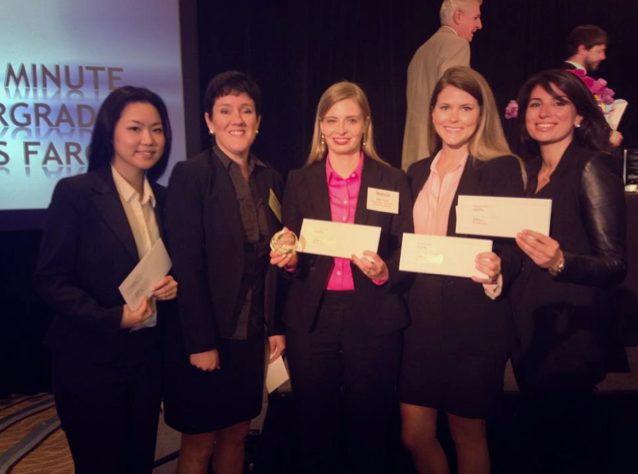 Last week, myself and 4 other students had the honour of representing the Beedie School of Business at the International Business Ethics Case Competition in San Diego. For this case competition, we had to choose our own topic. We wanted to choose a timely and local topic, and ended up deciding on Barrick Gold as they are a Canadian company operating oversees. We worked for the last month on developing our presentation of ethical issues, recommendations and implementation. It was really fun to work in a team of all girls as it was different than our usual teams. We all went into the case competition with our eyes on the prize! When we arrived in San Diego, we checked into the beautiful Coronado Island Marriott Resort Hotel and walked to our room right near the ocean! We rehearsed and then got an early sleep before our 8AM presentation. All 3 rounds of the competition went great and we were happy that we were able to bring home a 1st place price in one competition, and a runner-up prize in another!